Consumers should be able to know at a quick glance what type of product they’re purchasing for themselves and their families. Implementing clear and transparent food labels and claims is an issue I’ve made a high priority. We’ve outlined these goals in a new, multi-year Nutrition Innovation Strategy released earlier this year. As part of this plan, we promised to address issues related to modernizing the outdated framework for food standards to allow industry flexibility for innovation, for example to produce more healthful foods, while maintaining the basic nature, essential characteristics and nutritional integrity of key food products. The wide variety of plant-based foods that are being positioned in the marketplace as substitutes for standardized dairy products has been the subject of much discussion in our initial work on the Nutrition Innovation Strategy. The rising demand for plant-based products, like soy-based alternatives to cheese and nut-based alternatives to milk, has created a growing number of new food choices in supermarket aisles. However, these products are not foods that have been standardized under names like “milk” and “cheese.” The FDA has concerns that the labeling of some plant-based products may lead consumers to believe that those products have the same key nutritional attributes as dairy products, even though these products can vary widely in their nutritional content. It is important that we better understand consumers’ expectations of these plant-based products compared to dairy products. Many dairy products, such as milk, yogurt and certain cheeses, have standards of identity established by regulation, which require certain components and ingredients in these foods. Names such as “milk”, “yogurt” and “cheddar cheese” have long been recognized by the American public as identifying the dairy foods described in the standards. More recently, these names have appeared in the labeling of plant-based products as part of the name of the product. Some examples include “soy milk” or “almond milk” and “vegan mozzarella cheese.” These plant-based products are sometimes packaged very similarly to those used for milk or yogurt, for example, and sold in the dairy section of grocery stores. However, these plant-based products may not be satisfactory substitutes for all uses of dairy. And some may not be nutritionally equivalent. 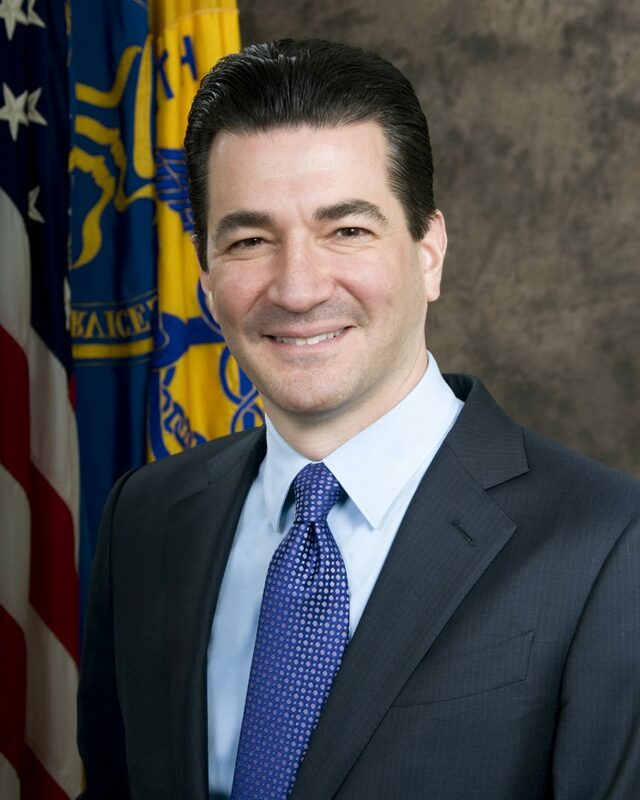 The FDA supports choice and innovation in the marketplace, and we recognize that some consumers may prefer to use plant-based products instead of dairy products for a variety of reasons, including an allergy or lifestyle choice. However, we must also ensure that the labeling of such products does not mislead consumers, especially if this could compromise their health and well-being. We’re working on modernizing our standards of identity, which define through regulation certain characteristics, ingredients and quality of specific foods. These standards of identity help to ensure that consumers know “vanilla extract,” for example, will always be made from vanilla beans and not artificial flavorings. We’re on a fast track to take a fresh look at the labeling of products that are being positioned in the marketplace as substitutes for dairy products. And, today, we’ve taken the first step in this process by issuing a request for information (RFI) in the Federal Register to solicit comments and feedback from the public to gain more insight into how consumers use plant-based alternatives and how they understand terms like “milk” or “cheese” when used to label products made, for example, from soy, peas or nuts. We’re interested to know if consumers are aware of, and understand, the nutritional characteristics and differences among these products — and between these products and dairy — when they make dietary choices for themselves and their families. The FDA hopes to receive new data submissions as part of this RFI to help us learn more about the nutritional profiles of different milk, modified milk, cultured milk, yogurt and cheese products compared to plant-based products (including fortified versions) that are being marketed as dairy substitutes. The RFI opened today is an important step in our efforts to take a look at how we have been applying the Food Drug and Cosmetic Act with respect to food names and our existing standards of identity. The comments we receive will help inform the development of draft guidance to provide greater clarity on appropriate labeling of plant-based alternatives. As always, we’re carefully assessing products currently on the market to determine whether any have misleading labels that would prompt us to take action to ensure that consumers are not under the misconception that their plant-based beverage is a dairy product in disguise. Today’s action is part of the agency’s overall efforts to reduce chronic disease and its impact on public health. We have a unique opportunity to empower individuals who are using nutrition to improve their health and the health of their families. And we remain committed to advancing policies that enable consumers to safely benefit from innovations in how foods are produced and labeled.